"I can simultaneously track and archive the oxygen level in my blood, my pulse, the number of breaths per minute, a measure to understand how well hydrated that I am, and another data point that indicates changes in blood circulation. 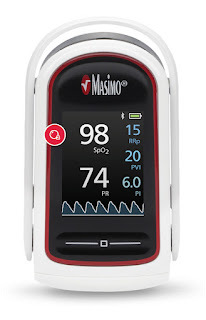 We use the Masimo with the athletes who we work with." 6. The Heart Rate Recovery is the percentage of your ability to recover within 60 seconds of stopping aerobic activities. So if you hit 160 beats per minute and then stop, the Heart Rate Recovery will measure how much as a percentage your heart rate falls after 60 seconds. So if your pulse rate falls to 80 after 60 seconds, the Heart Rate Recovery gives you this information. 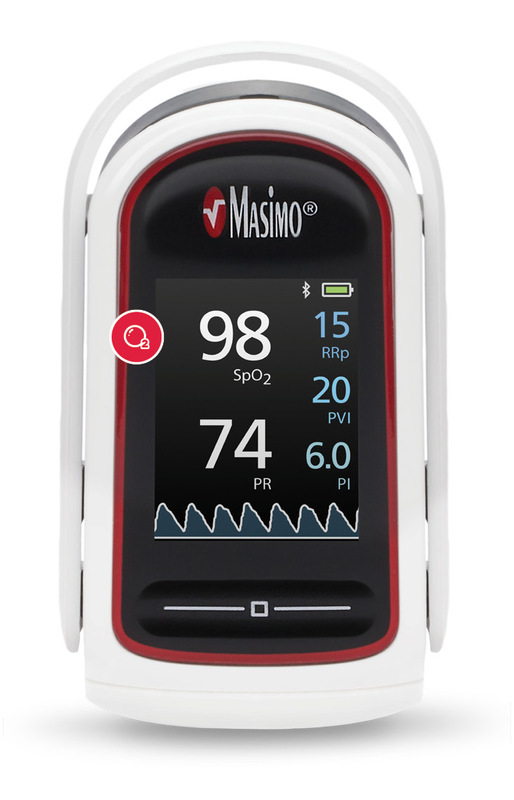 For more information about the Masimo MightySat™ Fingertip Pulse Oximeter, visit here.